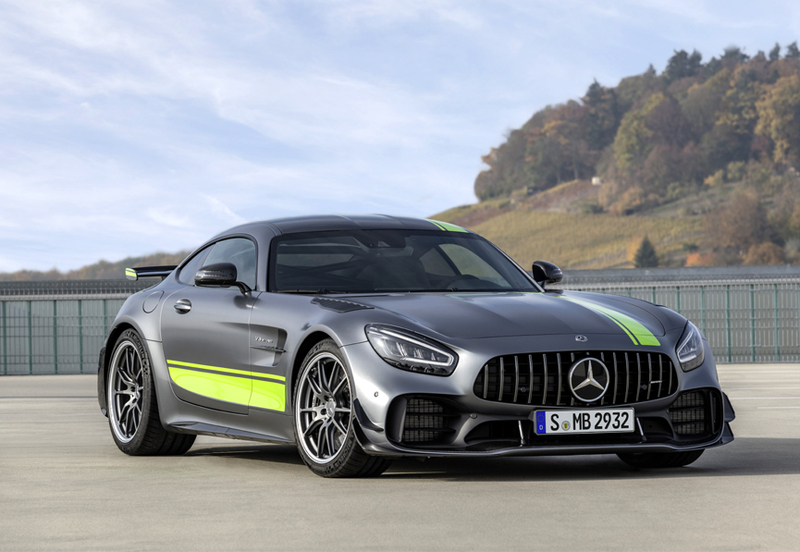 LONDON - March 18, 2019: The new Mercedes-AMG GT R PRO is now available to order and is priced at £188,345 (approximately $220,000). The GT R PRO uses a 4.0-liter biturbo V8 engine with an output of 585 hp and 700 Nm of torque. It can sprint from 0 to 62 mph in 3.6 seconds and has a top speed of 198 mph. It delivers 22.8 mpg on the combined cycle and emits 284 g/m of CO2. The GT R PRO builds on the GT R with aerodynamic fine-tuning resulting in more downforce; a new suspension; and lightweight-design bucket seats and wheels, all of which contribute to enhanced driving dynamics and racetrack performance. 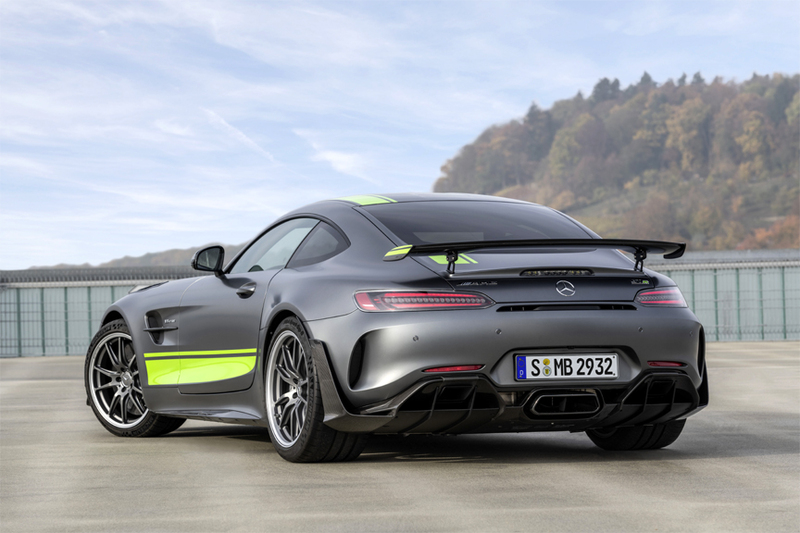 The GT R PRO comes as standard with 10.25-inch digital instrument cluster display and multimedia display; carbon ceramic brakes; roll cage in matt black; 19-inch/20-inch AMG five-twin-spoke forged-alloy wheels painted in titanium grey; Premium package including Burmester surround sound system and Keyless-Go package; AMG Matt Black Carbon Fibre Trim package; AMG Track package; Active Aerodynamics; AMG Ride Control sports suspension with adjustable damper system; AMG electronically controlled rear axle limited-slip differential lock; racing stripes in light green; Parking package including Parking Assist PARKTRONIC; AMG Carbon package I including rear diffuser and front splitter in carbon fibre; AMG Traction Control; and AMG Interior Night package.